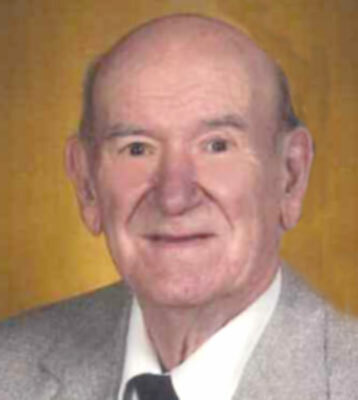 CLINTON, MAINE - Roy J. Maynard, 85, passed away on Monday, June 15, 2015. He was born on Sept. 11, 1929, in Nolan, W.Va., son to the late Christopher Columbus and Edith (Thompson) Maynard. Roy grew up in West Virginia and worked in the coal mines for three years before moving to Ohio. Roy served his country as a U.S. Marine Corps corporal during the Korean War. He then worked for U.S. Steel in McDonald as an overhead crane operator for 27 years before retiring in 1980. On March 17, 1956, Roy married the love of his life, the former Phyllis Stanley. Roy was a member of the Niles First Church of the Nazarene. He was also a member of the Girard American Legion Post 235 and a former member of the Odd Fellows. He will be remembered for the joy he found in fishing and tinkering on cars, as well as the time he spent roller skating with his wife. Left to mourn Roy’s passing are his wife of 59 years, Phyllis Maynard; his children, Margaret “Kay” (Ivor) Undertajlo, David Maynard, and JoAnn (Chris) Bolduc; his grandchildren, Andrew (Katie) Maynard and Vivianne Maynard; and his great-grandson, Alan Michael Maynard. In addition to his parents, Roy was preceded in death by his son, Charles Maynard; and his brother, Charles Ray Maynard, who died in infancy. The family will receive friends from 10 to 11 a.m. on Monday, June 22, 2015, at the Niles First Church of the Nazarene, 1822 Niles-Vienna Ave., where services will follow at 11 a.m.
Interment and military honors will take place at Green Haven Memorial Park. Please share your memories of Ray.